A nice photo, I like the toning etc. My only thought is that it confuses me somewhat, it seems to be an un-natural setting. My mind seems to keep floating towards "why would a person leave a dress and shoes over a doorway?" It seems somewhat un-naturally assembled. Bearing in mind of course, most of the layout is simply my taste. And that I'm by no means great at this. 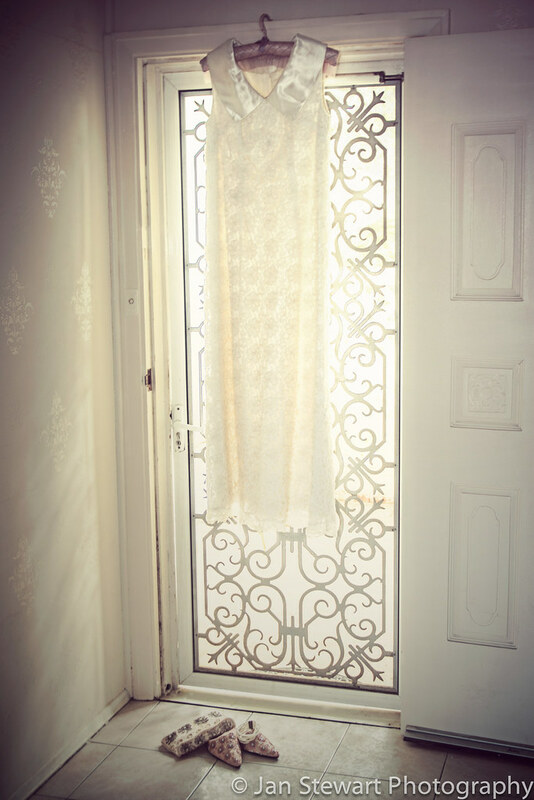 I get it that you were going for a lovely all-white illuminated effect... but the middle of the dress kind of disappears into the door. The pattern on the dress is pretty much lost too, & the pattern of the door really competes with it. I turned up the brightness on my screen to maximum which made the shadows at the top & bottom better, but then the middle was even brighter. That dress would look great hanging off a boudoir screen or by a window with great natural light over a fancy chair or chaise or on a hook maybe. I love the door and I get where you were going but it's just really doing that dress justice where it is. Got a vintage chair? You could drape it over the chair next to the door and get more of the effect you are going for. Ideally? I'd borrow a dressmaker's dummy, and maybe a few hat boxes if you can get them, then position it next to the door and try that. The light is great. The door is great. The dress is great but the location of the dress just isn't ideal. That neckline is gorgeous. On a dummy or draped over the chair it would show off much better. Hat boxes, vintage pillows, you need another prop in there to add interest and focus the attention on the dress. The door is lovely but it's taking away from what should be the focus of the shot, that lovely vintage dress.